We had a great start to 2017 with multiple trips this week and awesome fishing! 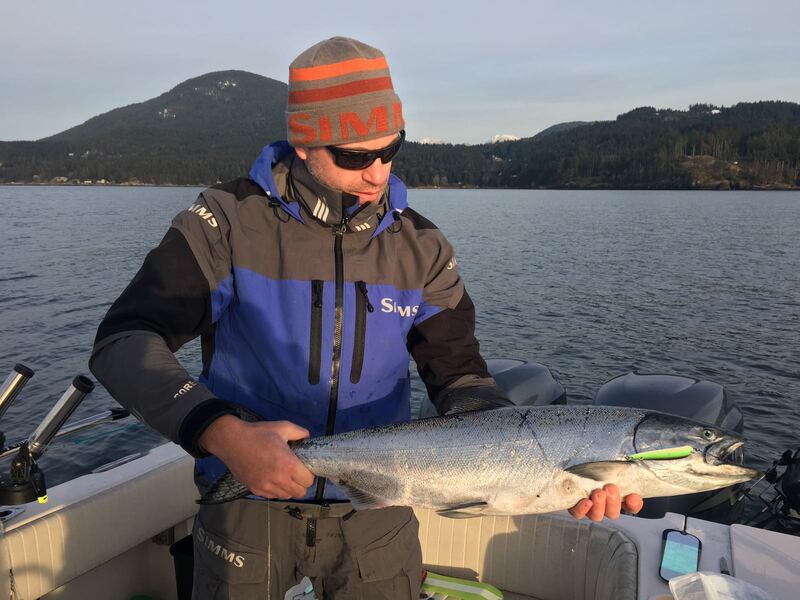 There seems to be good numbers of chinook pretty much everywhere with fish in Vancouver Harbour, Howe Sound, and the Gulf Islands. I honestly can’t think of a spot where I haven’t heard of or had good fishing, so if you have the time, book a trip as the next month or two should be great. It is hard to believe how fast November and December have flown by, but with fishing so good, it always seems to go by too fast, so don’t let that happen to you and get a trip in the calendar now. 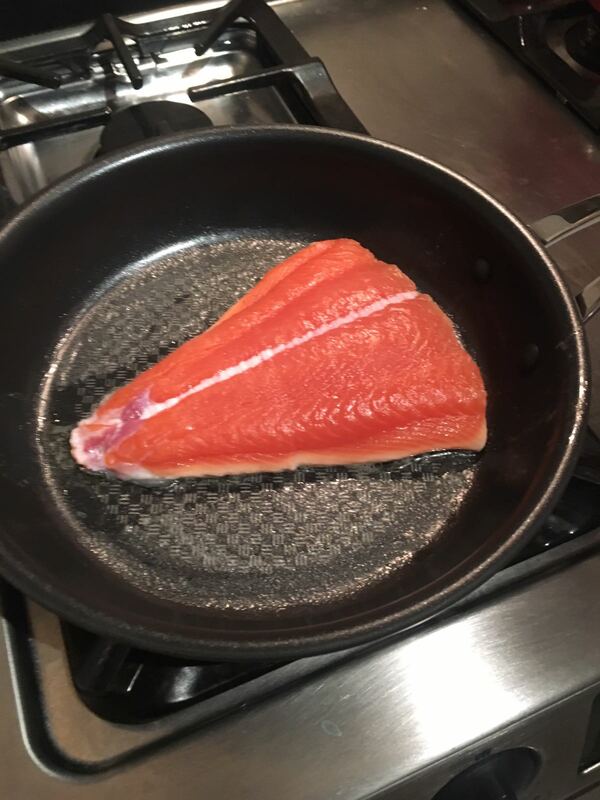 Nothing tastes better than winter chinook! Book a trip and get some now! As usual this time of year, the water is clear and the bait is on the bottom. That means keep your gear on the bottom because that is where the chinook are hunting for bait. Top producing flashers have been the Green Onion Glow, Salty Dawg and Chartreuse Glow or Green Glow. Top spoons have been any Pesca spoon in 3.5 or 4.0 with some green, blue, chartreuse, and glow on them. Some hot ones this week were Gut Bomb and Double Bubble. The Kingfisher spoons in 3.5 have also been doing well, like the Irish Cream and Kitchen Sink. Jason admires a nice chinook from this week taken on a Pesca Gut Bomb. This week we were out testing some of the new Pesca spoons and they should be on the shelves late January. The results were pretty impressive, the new shape has great action and the fish seem to agree, as this spoon has been red hot the past 2 weeks. 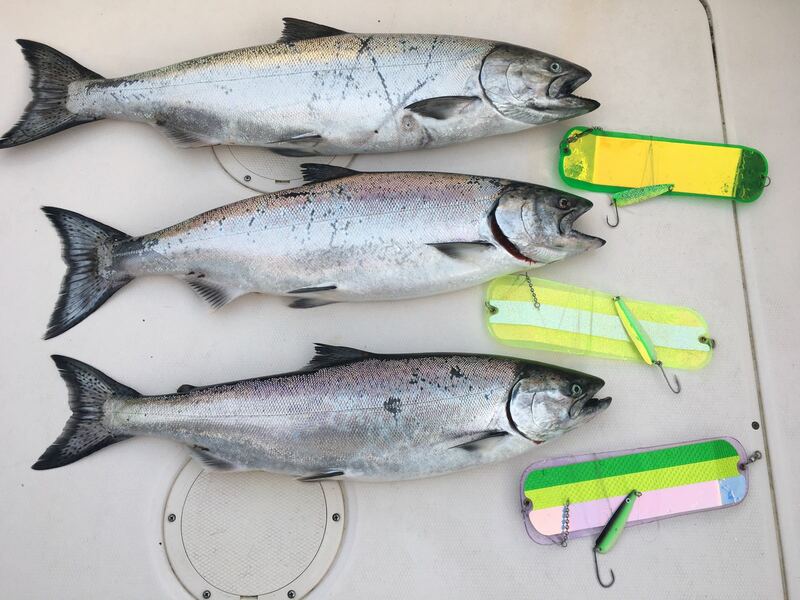 Three nice chinook taken on Thursday while testing out new Pesca colours and new spoon shape. The fish are also getting bigger, with Eddie’s guests this week landing one that was just over 15 pounds. 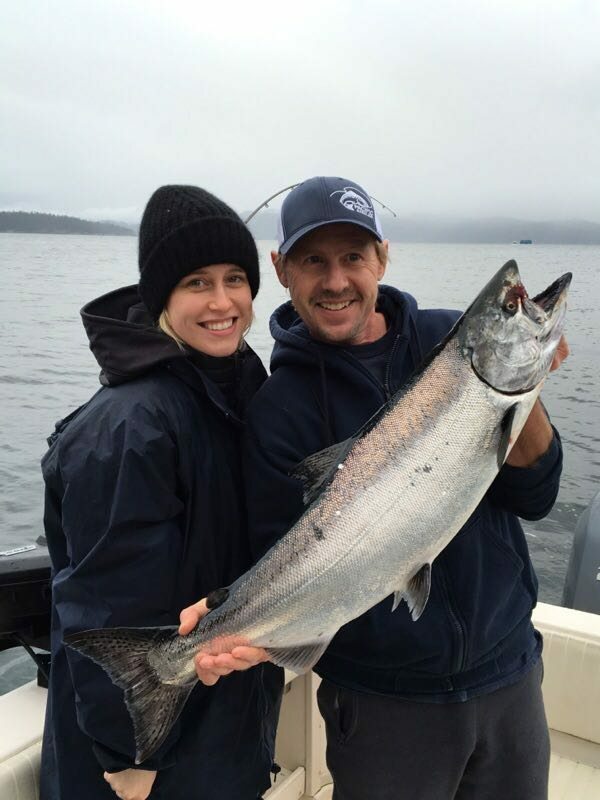 Meagan landed this 15.5 pound chinook on a trip with Captain Eddie this week. One interesting thing to note is bait size. Some of the fish this week have had rather larger herring in them, some anchovies, and some shiners! The herring would have been well represented by a 5.0 spoon maybe even a 6.0 size. The anchovies by a 3.5 and the new spoon I have been talking about is a perfect anchovy size. The shiners are small and a 3.0 or 2.5 would be a good choice. If you do get a legal fish and decide to keep it, I would recommend quickly gutting it on the boat to see what it is feeding on and make sure you have the right size spoon on. It can make a big difference, especially if they are on small bait and you have a big spoon on. They don’t seem to like that. See you on the water or in the shop.